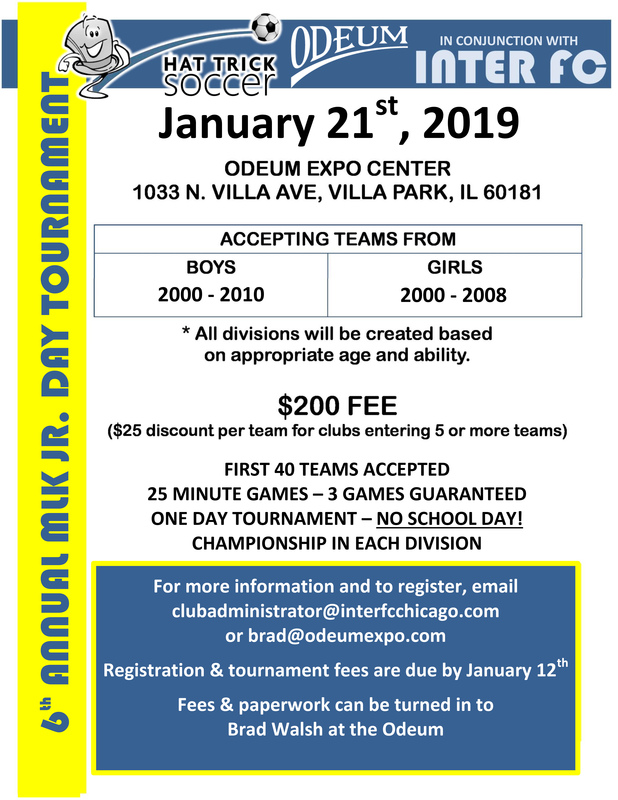 MLK Jr Day Soccer Tournament, January 21, 2019	January 21, 2019 8:00 A.M. to 6:00 P.M. The 6th Annual Martin Luther King Jr Day Soccer Tournament brings all of the area youth teams together for some fast-paced indoor soccer action! Started by the late Tony Dallas, this event has become an annual tradition where teams compete to become champions! Contact: Watch the Odeum Facebook page for details & schedule as it develops.